Ronda passed her drivers test today, so we wanted to celebrate! 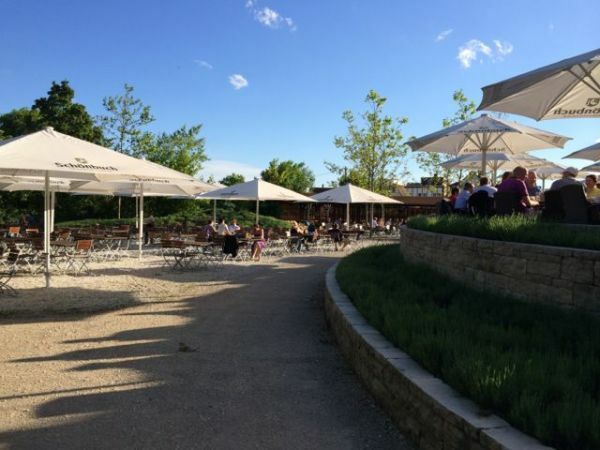 I looked on the map for somewhere new and found a place near where we are staying that had a beer garden and looked family friendly. We got directions and made our way out of the hotel where we ran into another family we have been hanging out with who is in a similar situation waiting to move into a house. We asked them to join us and we all went to dinner together. 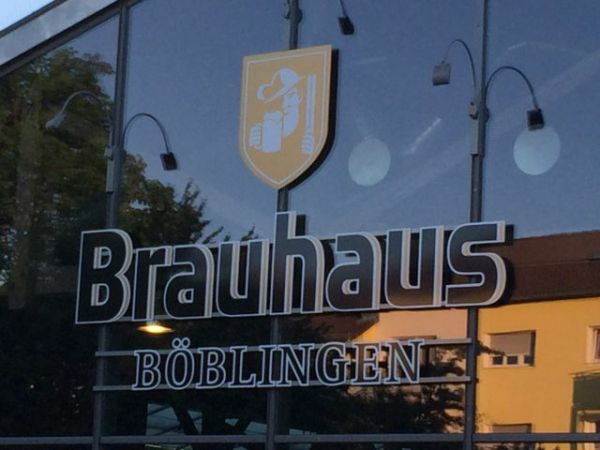 The beer garden was called the Shönbuch Brauhaus, and it is the brewery outlet for Shönbuch beer (If you follow my beer blog, it's one of the first ones we tried). We found a place outside and ordered some drinks and dinner. 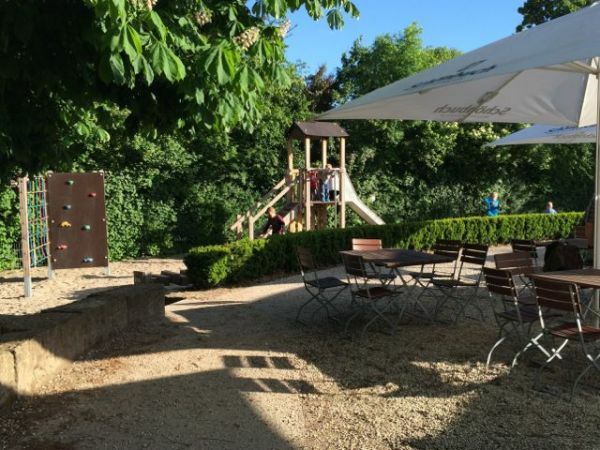 The kids played in the play area right beside the Biergarten and had a good time running around in and out of the trees. Dinner wasn't anything unusual, bratwurst, schnitzel, fries, and salad (even some hot wings). The beer was great and we got to spend some much needed time outdoors - it's been raining quite a bit, so sitting outside in the sun felt great! So, once again, not much to say except we are so thankful to be here soaking it all in!!! Alles ist gut!